This was the solution the 20th century masterminds came up with – great solution at that time. Now what do we, social media marketers do to attract people’s attention, if we’re not selling food or clothes? Moreover, if our industry is so boring we can’t benefit from posting Instagram photos and contests? Seriously, who would ever look at the filtered picture of a bin bag or enter a public social media contest to win a toilet brush? To get entertained and inspired, I’ve collected some brilliant examples of the companies who found creative solutions to this problem and managed to attract more attention than any cupcake would. Of course, they also introduced a toilet-themed hashtag which got very popular for, you know, a toilet-themed hashtag. It’s #TweetFromTheSeat and there are dozens of Twitter user sharing with their followers this exciting information. Charmin tipped to the core of humans’ personalities, and offered to use their hashtag as self-promotion. Did you write a song on the seat? Tweet it for all brand’s following to see! 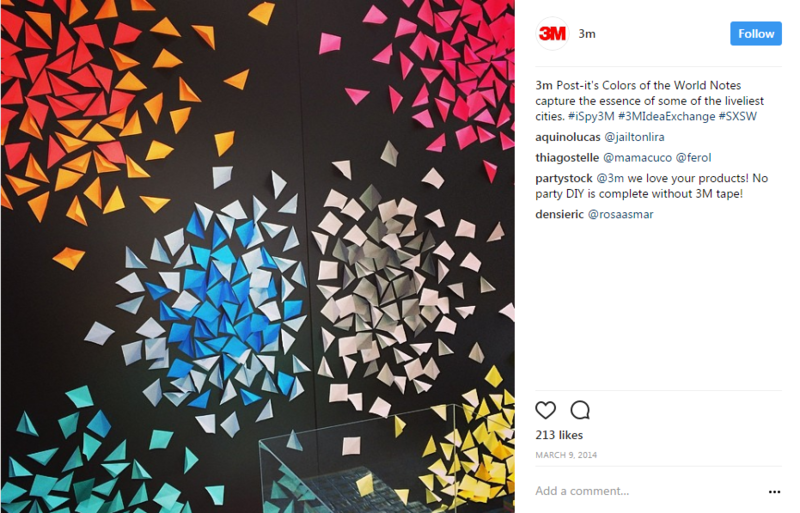 Then the company made sure they actively engage with at least some people that get involved in their campaign (e.g., use the hashtag or mention the brand). 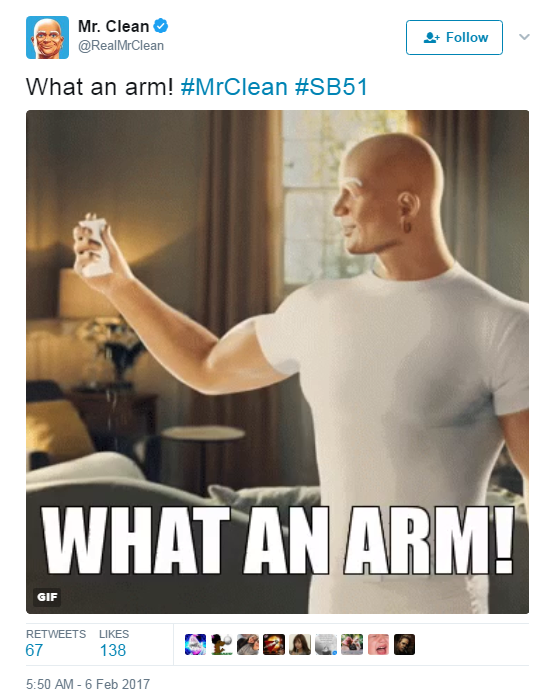 All in all, Charmin’s TMI social media strategy gained them around 80k followers. Not bad, not bad at all. The company’s Facebook page doesn’t fall behind: the cover photo tells you to “meet the cleaner of your dreams”. It has over 1 million followers and involves a lot of flirting with customers. 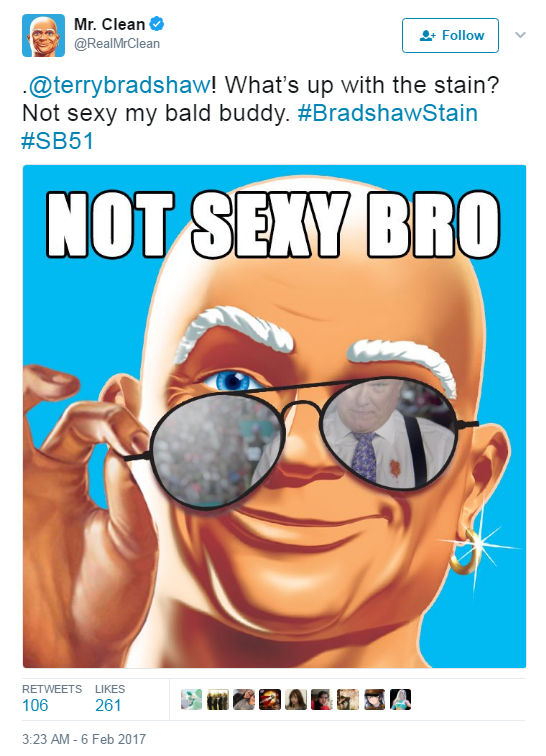 Admittedly, social media isn’t the only thing that drives Mr Clean’s marketing success. Their Super Bowl commercial got viral, and not every company, to say the least, can afford one. However, they worked hard on social media to make this commercial viral: the company released a series of teaser trailers on Twitter and Facebook on a daily basis. Today, the Super Bowl commercial has more than 17 000 000 views on YouTube. That’s not the only video on YouTube, though. Their channel is also filled with truly useful how-tos on everything connected with cleaning. The company faces loads of criticism: men rightfully complain that the whole campaign completely ignores dads and is generally lame and even NSFW. But it works for the company – the absolute majority of their target audience are women, and women love it. It’s extremely hard to come up with a fundraising marketing campaign. You’re not actually selling anything, and the charity causes are usually something that people don’t like thinking about. 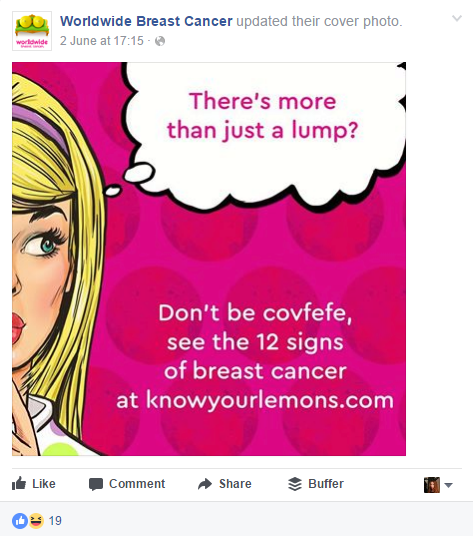 Yet some succeed beautifully, as, for example Worldwide Breast Cancer with their social media based #KnowYourLemons campaign. The charity behind it created standalone Facebook and Twitter pages aimed at spreading awareness of the breast cancer symptoms and fundraising. They did everything right, from the catchy hashtag/name of the campaign to visuals, which are absolutely genius. You don’t have to be educated or speak the language to understand the point of the campaign. It’s extremely accessible, and that is what matters a lot in this case. Their Facebook page has a clear CTA as well. Another thing done well by the charity is staying up-to-date with the world/social media news and making use of it. As a result, Worldwide Breast Cancer exceeded their fundraising target by 317% on Just Giving alone, and, no doubt, saved many lives by spreading awareness and encouraging women to do regular checks. 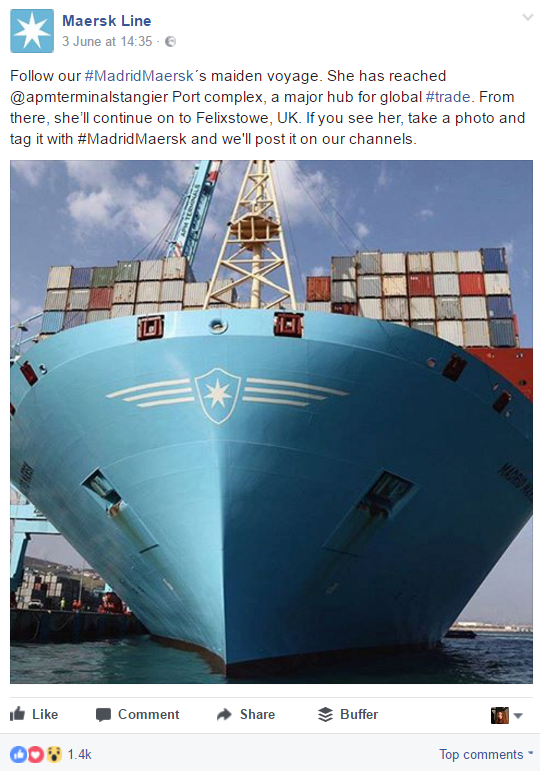 Maersk Line is a container shipping company… with more than 1 million followers on Facebook. They are also present on 8 other social networks – their social media manager must be a superhero. So what could they possibly post that is so interesting for the people to see? For one, it’s photos and videos. Their social media pages are like a mini photo contest of National Geographic. They gather thousands of likes on Facebook, Instagram, Pinterest, Flickr and others. Secondly, the post both positive and negative news about the company. For a large B2B company it’s import to show validity, and that is exactly what they are doing with their consistent, relevant posting. Besides, Maersk has a special plan for LinkedIn. After conducting a survey, they’ve discovered that most of their customers would like to connect with them on LinkedIn, so they’ve set up a couple of groups there. Secondly, they make use of multiple social media channels, even the ones that seem to be completely irrelevant to non-pretty products, like Instagram. As you can see, they make it pretty. 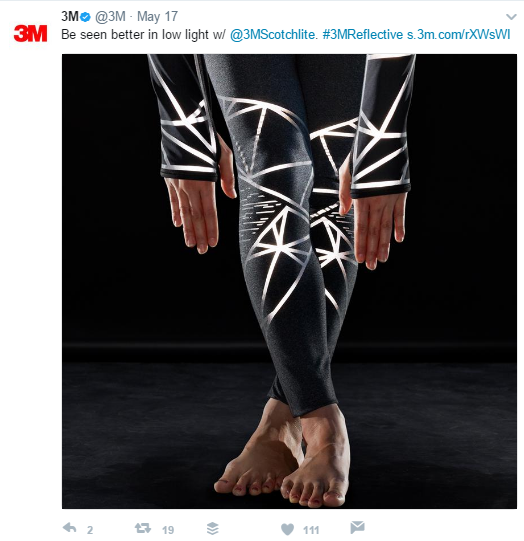 Thirdly, 3M’s social media channels work like niche news channels: they post about innovations, scientific discoveries, new technologies, and creative ways of applying their products. Anyone interested in this geeky world would follow 3M! And that’s how they have more than 4 million Facebook followers. What is your brand and what is your social media strategy for it? Let me know in the comments!